This is a perfect bandana to have personalised. 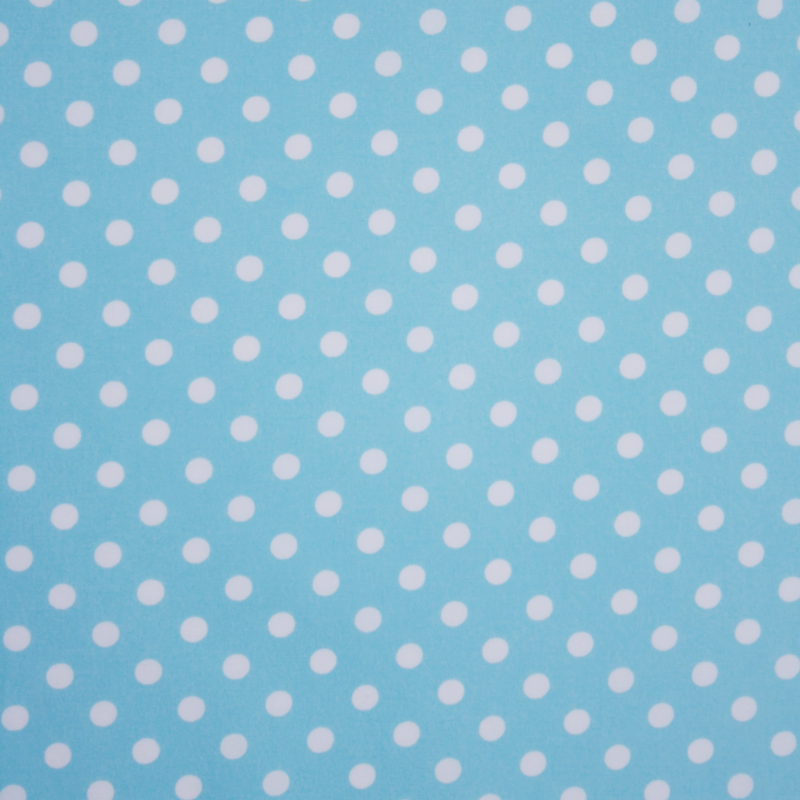 It's a really pretty pale blue polka dot dog bandana, perfect for any new puppy! (This is also available in pale pink for the girls!) It would make a really lovely gift, and would give a new puppy his first taste of what it's like to be a Dudiedog! 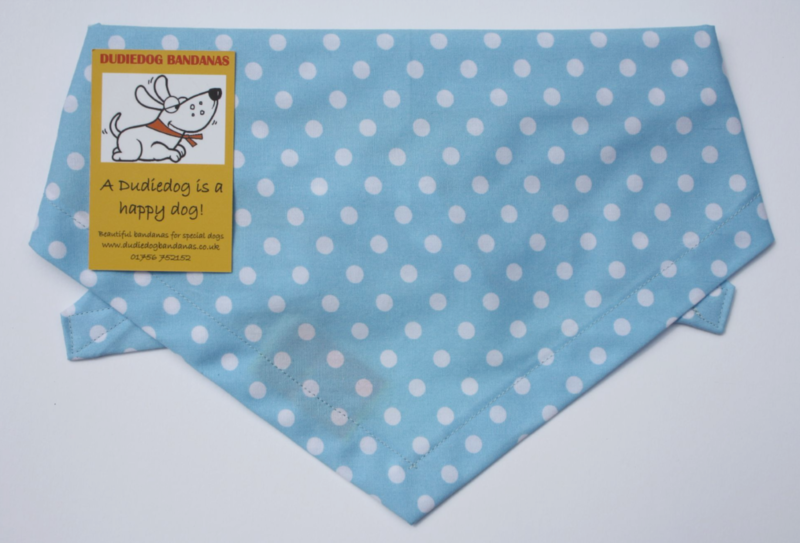 This bandana is made from a high quality 100% cotton fabric, and is available in 7 sizes. It's a tie on style bandana. At checkout please select your size. The price includes the lettering of your choice, and for a further small charge you can add an embroidered pawprint, crown or hearts. You can select your thread colour choices at checkout too. Please get in touch if you have any queries or special requests.